Open Mic is back at the Tomales Town Hall! Every 2nd Thursday of the month. 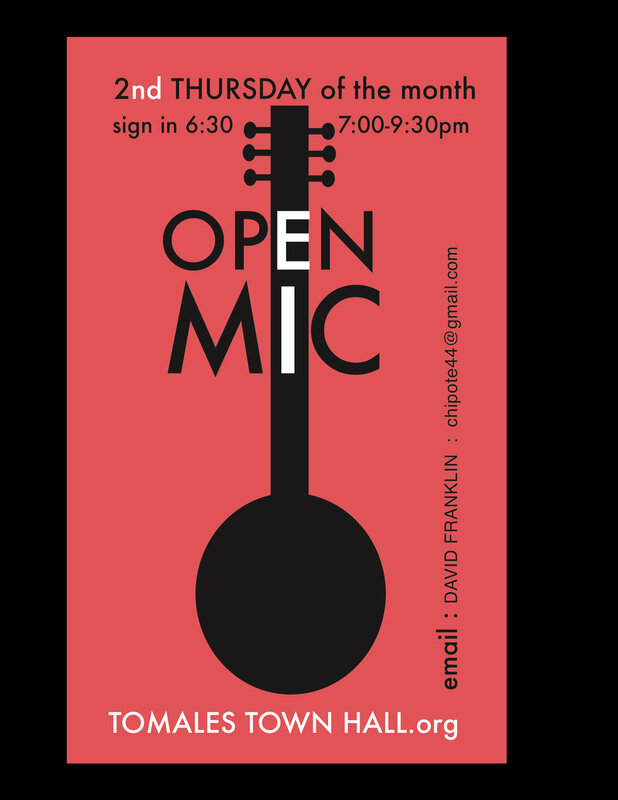 Musicians, poets, comedians, and storytellers welcome! Dancers, jugglers? Why not. Sign-in to perform at 6:30 PM. BYOB and snacks. For more info, email David Franklin <chipote44@gmail.com>.